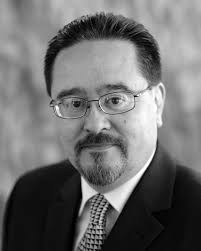 Arturo E. Ocampo JD is the District Director for Diversity and Compliance. He received his Doctorate of Jurisprudence from UC Berkeley, School of Law. After his fellowship as a Reginal Heber Smith Fellow he was hired by the Stockton California Rural Legal Assistance office as an attorney where he litigated for the civil rights of farm workers, immigrants, and low income residents of San Joaquin County. He then served as the first Director of Diversity at San Jose/Evergreen Community College District and subsequently served as the first Latino Assistant Provost at the University of the Pacific. After Pacific he was appointed as the Assistant Vice President for Diversity and Inclusion at CSU San Marcos. Dr. Cadena teaches anthropology at Fullerton College and Cultural Diversity Competence classes in the Human Services department at CSU, Fullerton. 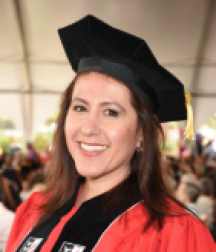 Dr. Cadena earned a master’s degree and a doctorate in Cultural Studies from Claremont Graduate University and a master’s in Anthropology from CSU, Fullerton. For the past 20 years, her research focus has been indigenous rights movements, tourism, and media studies. 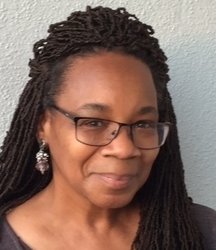 In more recent years, her research has centered on issues of inequality in education, including the hidden curriculum, critical pedagogy, and challenging the existing opportunity gap. Currently, she is working on trainings on pluralism and inclusion as part of cultural diversity competence. Ranmalee Perera teaches ESL at North Orange Continuing Education, Anaheim Campus and at the ESL/Linguistics Department, Long Beach City College. Ms. Perera earned her Master's degree in Applied Linguistics and a TESL Certificate from California State University Long Beach. She has also done extensive post-graduate work with migrant farm workers at the University of Kentucky; where she received her Bachelor's degree and at Pennsylvania State University. For the past 20 years, she has specialized in the study of post-colonial language planning policy, multiculturalism, equity, and minority language valorization in the contexts of civil war in Sri Lanka. Her interest in language and educational policy in the post-colonial context began while teaching at the Refugee Assistance Program at Long Beach City College. This experience working with refugees from Cambodia, Vietnam and Eritrea and her work in Sri Lanka with IDP's and alternate economies informs her present work and research. Most recently, her research is centered on the polemics of language among marginalized populations and its effects on applied critical pedagogy and the systemic inequities in education. Moreover, she is currently engaged in applied research in immigration and refugee rights and DACA advocacy. Ms. Perera has taught English and conducted language research in Sri Lanka, Mexico, California and Nevada. Dr. Annette Letcher is an Assistant Professor in the English/Reading department at Cypress College. She has been teaching English/Reading in the community college system for eight years. Dr. Letcher also serves as a mentor and teaching faculty for the Cypress College Legacy program. This learning community provides a strong academic program, instructional resources, and motivational support that prepares African A­merican students for transfer to four-year institutions. In 2014 she received her Doctorate in Educational Leadership from California State University, Fullerton. Her dissertation focused on African American faculty perceptions of organizational culture at community colleges. This research explored how organizational culture affects African American faculty perceptions and how these diverse perspectives may contribute to underrepresentation of African American faculty in higher education. Her research interests include issues of social justice, diversity, equity, and literacy.